Two-time national champion, first-round draft pick, and Heisman trophy winner Tim Tebow will be the featured speaker at Immanuel Baptist Church on Saturday, January 19 at 4:00 p.m. as the school kicks off their 30th anniversary celebration and hosts its largest event benefitting the school’s annual fund. The celebration will be held at LCA’s elementary campus, which is housed at Immanuel Baptist Church. Mr. Tebow’s presentation will focus on faith, service, and excellence. Tebow, who is currently signed to play baseball in the New York Mets organization, is also a college football analyst for the SEC network. Prior to joining the SEC Network, Tebow played three years in the NFL for the Denver Broncos, New York Jets and New England Patriots. In 2011, Tebow was the first quarterback featured in ESPN’s Year of the Quarterback series. He later released Through My Eyes, which was named the #1 sports book of 2011 and the bestselling religion book of 2011. Tebow released a new book last month, Shaken: Discovering Your True Identity in the Midst of Life’s Storms (WaterBrook). He also contributes to a variety of ESPN platforms including SportsCenter, ESPN Radio, and the network’s Heisman Trophy coverage. He is active in a variety of philanthropic activities through his Tim Tebow Foundation. Tebow grew up the son of missionaries, and even after moving to Florida as a child, he returned to the Philippines as a teenager to share his Christian faith and serve the needy. As a starting quarterback for the University of Florida, he led the Gators to two national championships. He won the Heisman trophy in 2007. “Having someone of Tim’s faith, background, and spirit for the Lord make himself available to share his moving testimony with our community is truly a blessing,” said Mark D. Sisk, LCA’s Head of School. “We’re looking forward to hearing Tim share his message of faith, service, and excellence in January, to what I am sure will be a standing room only crowd,” he added. 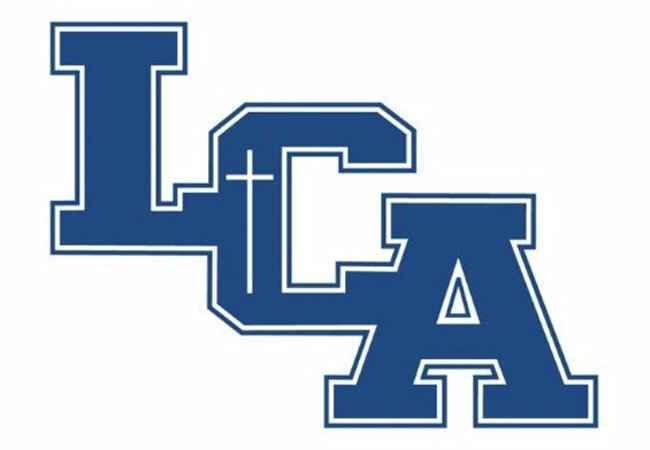 Founded in 1989, LCA has grown into one of the largest, most sought after, independent Christian schools in the United States. With a strong sense of community and a clear direction as a covenant school, LCA quickly outgrew its original space provided by seven local churches. Through the Lord’s providence and the financial sacrifices of many families, LCA transformed a former tobacco processing plant into the Rose Campus, which consists of 200,000 square feet of educational space and 75 acres, housing the institution’s High School, Junior High and the new 6th Grade Academy. Thanks to a great church partnership, all LCA preschool and elementary students are located together at the Immanuel Campus. LCA’s annual fund supports a wide range of activities at both campuses ranging from safety and security to teacher compensation, as well as nearly $1 million in needs-based tuition assistance for families seeking Christ-centered education. Tickets to go on sale soon. They will range in price $50-$100. For more information about tickets, visit www.lexingtonchristian.org. Questions, email [email protected].